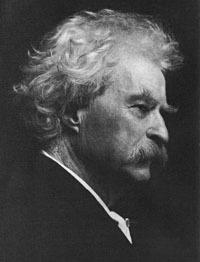 Well known and often quoted author, Samuel Langhorne Clemens wrote such classics as The Adventures of Huckleberry Finn and A Connecticutt Yankee in King Arthurs Court. One time editor of the Virginia City Enterprise, under the pen name of Mark Twain he also wrote The Adventures of Tom Sawyer, The Prince and the Pauper, and The Innocents Abroad. Best remembered as a humourist, he also served as vice-president of the Anti-Imperialist League and president of the Childrens Theatre for immigrants in New York. Only active in his lodge for about ten years, after a trip to the Middle East in 1867 he presented his lodge with a gavel made from Lebonese ceder. 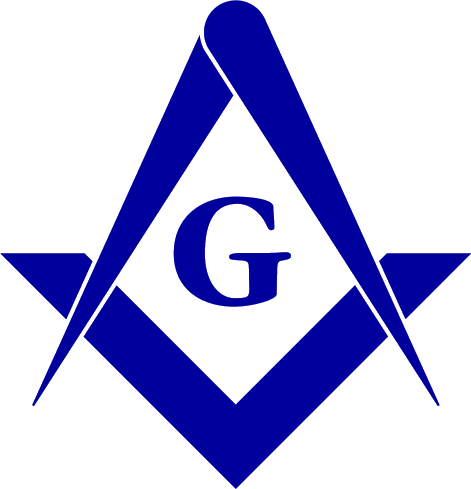 Freemasonry played little part in his many writings. In The Innocents Abroad Twain refers to God as the "Great Architect of the Universe" while in Tom Sawyers Conspiracy he refers to a local piller of the community as being a freemason. In what may be the only public masonic reference he made, he mentions "the grip and the word that lift a man up and make him glad to be alive" in a dinner speech to the New York City Lotus Club on November 10, 1900.